Comment: I took storm windows off and Just discovered 2 - 2nd story window sills are decayed and need to be repaired before painters come to paint the outside of our townhouse the week of May 1st. Comment: Putting my house on the market, I need to do repairs to the soffets, shed and side of the home. Comment: I have cedar siding that needs some repair but also wanted to replace the chimney siding with panels that look like stone. Comment: I would like to get an estimate for repair aluminum trim on home. Comment: Recent storm tore away about a 25 feet section of Aluminum trim near the roofline of our home. Itâs almond in color and needs to be replaced. Henrico Siding Contractors are rated 4.77 out of 5 based on 969 reviews of 28 pros. 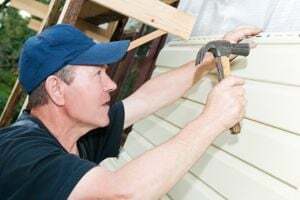 Not Looking for Siding Contractors in Henrico, VA?